Want to lose weight without being on a diet? There are so many diets out there, finding the right one that works for you can be difficult. There are also many diets that just don’t work, or will do more harm to your body than good. The fact is, you don’t have to go on a specific diet lose weight. And when I say that you don’t need to diet, I mean you don’t need to be on a specific diet. You don’t have to be on keto, carb-cycling, weight watchers, etc. just to lose weight. This does not mean that you will be able to have successful weight loss and real health by eating processed foods full of empty calories. However, there are things you can do now that are small that will help you lose weight. When I began my journey of losing weight, I didn’t subscribe to any particular diet. I lost most of my weight by making gradual changes to my lifestyle. I changed what foods I was eating, and I began to move more. I threw out the foods I knew I shouldn’t be eating and bought whole foods. I walked every day. It really wasn’t more complicated than that. Losing weight isn’t being on this diet or that diet. It isn’t just about counting calories. I didn’t count the calories I was eating for a long time. Making small changes to your lifestyle can result in weight loss, and frequent small changes in the right direction can lead to significant changes in your body composition. I want to share with you some simple changes you can start implementing into your life so you can start losing weight without going on a specific diet. Although you will not see drastic weight loss as you would on a meal plan, you will begin to lose weight, and you will begin to develop healthier habits that can lead to sustainable success. For many of us, this can be a hard habit to break. Unless you are fasting, you shouldn’t skip breakfast. Skipping breakfast happens when we are too busy, fall out of the habit of eating in the morning and trying to eat less to lose weight. However, people who eat breakfast see more weight loss results than people who choose to skip it. When you eat breakfast, you are less likely to consume bad calories later and binge during your next meal. You also jumpstart your metabolism, help you stay full and focused throughout the day, and will help you exercise more (whether that exercise is in the gym or just a walk around the block). Be sure you eat breakfast every day and make sure it is a healthy breakfast of whole foods. 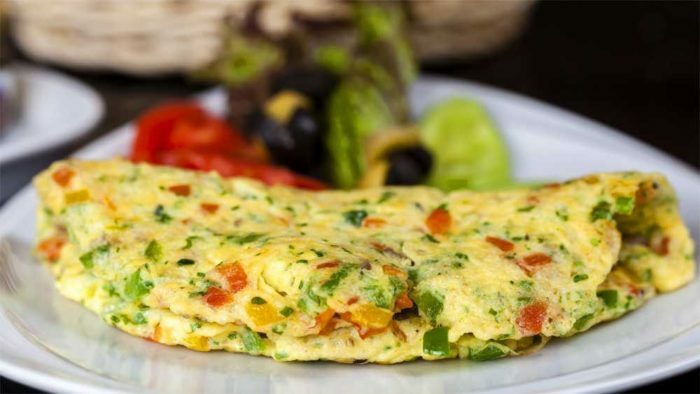 Leave the pop-tarts and sugary cereal and grab a breakfast that is full of protein and fiber. This will keep you satisfied until lunchtime. Late night snacking can get the best of us, and late at night those cravings can creep up, and we cave. Every night, typically ending with dinner, you should establish a cutoff point where you no longer allow yourself to have any more snacks. Your cut off point is the time of day where you don’t allow yourself to consume any more calories, whether it be in food or drink. This will stop mindless eating that tends to happen as we become more tired and our inhibitions weaken. I’ve talked before about drinking your calories because becoming aware of how many calories I was drinking made a big difference in my life. Some of my quickest drops in body weight followed cutting out sodas, juice, and other sugary drinks. Sometimes we don’t realize how many additional calories we consume through what we drink, and this can easily sabotage any attempt to lose weight. Instead of drinking sugary drinks, or even dairy, make the switch to water or zero calorie drinks. Check out my list of zero calories drinks that helped me make remove soda from my diet and lose more than 300 pounds. This may seem simple, but adding more veggies into your diet can help you lose more weight. This is a small step that you can make today. Eating more veggies will leave less room for the foods that you shouldn’t be eating and keep you fuller longer. This means you will cut down on cravings and be less likely to reach for a quick unhealthy snack. You will also see fewer changes in your energy levels, experiencing fewer dips and spikes. There are several ways you can eat more veggies to your life, whether you are adding them to your meals, using them as snacks between meals or merely adding a handful of spinach to a smoothie. To lose weight, you will have to limit your portions, even if you are eating whole foods. You can do this by using smaller plates that hold less food. One of the problems is that over the years portion sizes have gotten bigger, and today they are much larger than they were 20-30 years ago. Portion sizes didn’t grow because we became hungrier, but instead, they grew so that companies could make sell more food. At the same time, the quality of the food that is sold in the grocery stores has decreased as more and more people purchased empty calories in the form of processed and sugary foods. One way you can control your portion size is by using a smaller plate. When you use a smaller plate, it appears to have more food on it visually. This is a little mental trick that can be quite handy when trying to cut calories. And be sure you are filling that plate with whole foods. It is normal to want to make life as easy as possible, so we often take the shortest paths and to our destinations. We take the elevator instead of the stairs. We drive to the store across the street instead of walk. We look for the closest parking spaces just to save a few steps. Instead of taking all of these different shortcuts, take the long way. Take the stairs instead of the elevator and park at the back of the parking lot. Or do what I did and walk to the store for meals instead of driving. The point is that all of these small additional steps add up to more calories burned and will get you to be more active. Always try to do more than you did the day before. The biggest change you can make is to focus on eating whole foods. This is more important than any of the steps listed above. When you focus on whole foods, you will naturally eat fewer calories and have more energy to move more. 80-90% of your weight loss will be based on the types of foods you eat more than anything else you do. The rest will be made up of how much you move and exercise. Have you ever been eating and talking to someone, or even watching a movie and you look down and suddenly you have less food than you thought you did? Sometimes we can be easily distracted and not realize just how much we are actually eating. We also pay less attention to our body’s signals that tell us we are satisfied and don’t need to eat anymore. For a lot of people, eating is a source of entertainment and something you do socially, instead of something that you do to live. Try eating your food when there is less distraction around, and you may notice that you are more mindful with what and how much you eat. This is different than just not drinking your calories. Most people don’t drink enough water, and I used to be guilty of this as well. Rewind a few years, and I drank very little water… if any at all. But drinking water can help you lose more weight. 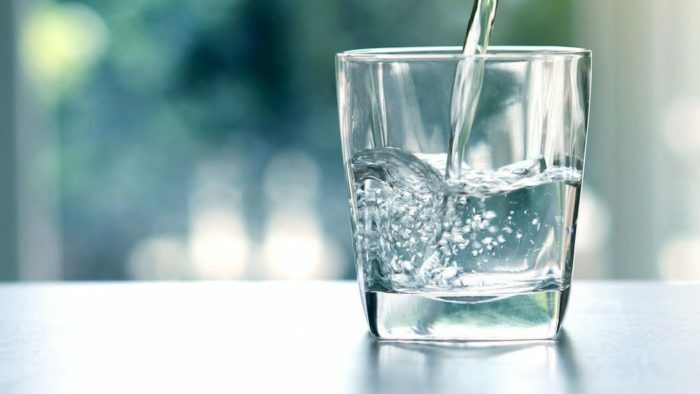 Drinking more water every day can increase your metabolism, reduce your appetite and make you feel fuller, and increase your energy. This will help you eat less and move more. Adding more protein to your meals can help you lose weight because it will help you feel more satisfied and full longer. Protein also helps reduce cravings throughout the day. This will help you eat less throughout the day. Of course, your protein should be comprised of whole foods, whether it be eggs, beef, chicken, fish, etc. Should You Go On a Specific Diet to Lose Weight? There are many changes you can make to your life that are simple, yet still support weight loss. How much weight you lose depends on how many changes you implement into your life, whether it be on a specific diet or through conscious eating. No matter what you do, you should strive to do better every day and focus on your goals. Know why it is that you want to lose weight and focus on that. Use that as your driver, and if you need more support be sure to join Team Possible where you have access to daily workouts, a giant recipe library, and weekly lives with me. Plus, you get a giant discount on your next 3-month Custom Meal Plan, so be sure to sign up!